With your generous contributions, PRAS is making a difference. Membership fees and generous donations to PRAS allow us to support many different initiatives in our service area. 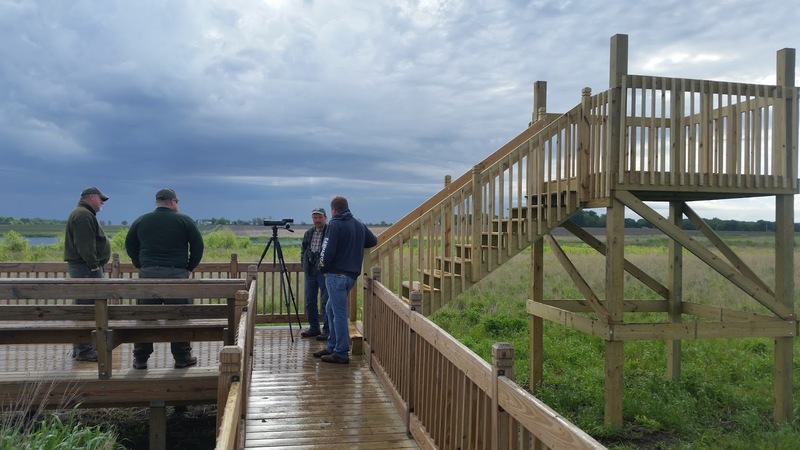 These projects are certainly making a difference to our communities, the environment, and bird life. At our September PRAS meeting, three articulate young Girl Scouts shared information about the Silver Award they completed over the summer. The project consisted of the girls working with local blacksmith to create an iron tree that holds 20 bird feeders This structure will be featured in the Canfield Bird Garden in George Wyth State Park. Each young woman also did research on their favorite bird and enjoyed learning about avian species. See the recent Courier article to learn more. PRAS is proud to have supported this project. Butler County: $800 for bird house building project. Materials for Peterson style bluebird, wren and kestrel boxes will be purchased for partnering with school children and 4-H clubs who will build & take the boxes to be installed around the county. Bremer County: $575 for Epson wireless projector and speakers for programs. Programs will be done in area libraries, nursing homes, etc. 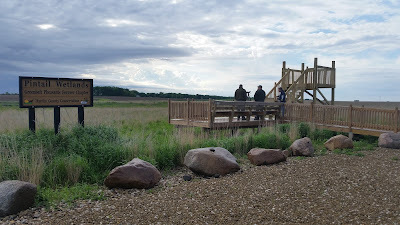 Buchanan County: $950 for a new hands on exploration wetlands exhibit at Fontana Nature Center. Orange Elementary School: $405 for supplies for a beehive to pollinate the maturing prairie at the school and more native plants. Hardin County: $500 for optics to be used to monitor wildlife responses, including bird species, to management techniques. The observations garnered will be used to make more informed habitat management decisions. New bird feeders at Cedar Valley Hospice were purchased; PRAS volunteers fill the feeders routinely throughout the year. $500 was awarded to Jon Stravers to continue Cerulean Warbler research in NE Iowa. Straver's research is critical to the conservation of this species and helped to secure part of the Yellow River Forest being named as a globally important bird area. Funds were awarded to Hartman Reserve to cover taxidermy fees for a bird display being built for their new building. 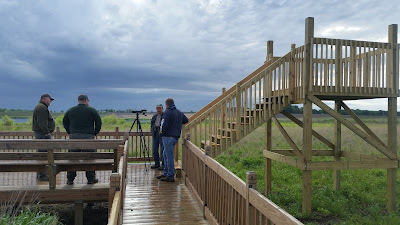 Thanks to your generosity, the 2015 Bird-A-Thon broke records with over $7000 raised. The PRAS Board recently awarded grants to the following projects, putting your donations to good use. All of the counties in our PRAS service area had organizations that received funding this year. A total of $5650 was awarded; congratulations to those who received grants! 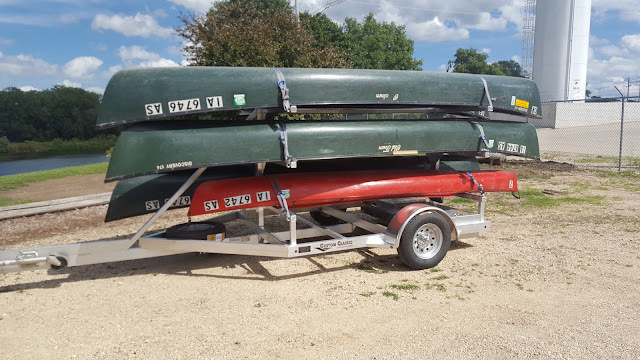 Bremer County Conservation Board - Canoe trailer - $500 -- See more details here. PRAS funds contributed in the completion of a new canoe trailer for Bremer County. Black Hawk County - Hartman Reserve - 10 binoculars - $500 See report & photo. Buchanan County Conservation Board - $500 for eagle carrier & funds for the "Buckets for Butterflies" project See report and photos. Butler County Conservation Board - 20 binoculars - $650 See report.